You can find your video counter on the top right corner of your Library. Clicking on it will open a pop-up, which you can use to purchase extra credits. NOTE: If you regenerate a video after 24 hours of its creation, it will result in reducing your video count by one. 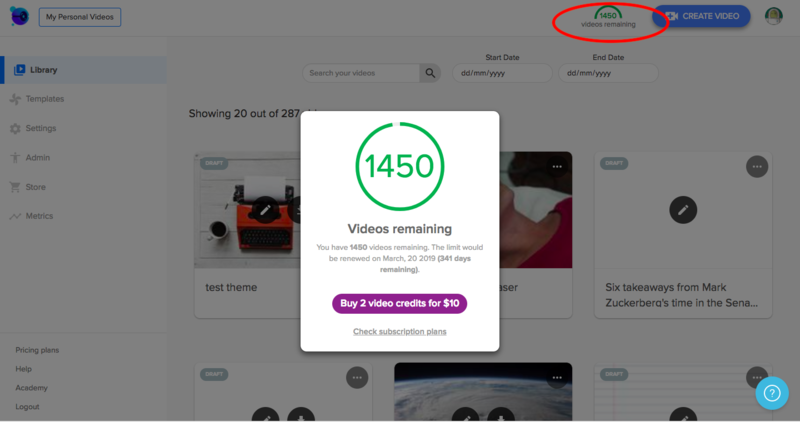 However, you can create unlimited drafts and save, preview them for indefinite time without using any video credit. Only once you click on FINISH to generate the video, the counter kicks in.